THINK RUGGED DESCENTS AND BONNET-DEEP WADING ARE FOR EXPERTS? THINK AGAIN. POTHOLES, GRAVEL AND COUNTRY LANES: HOW TO NAVIGATE TRICKY DAY-TO-DAY SURFACES. 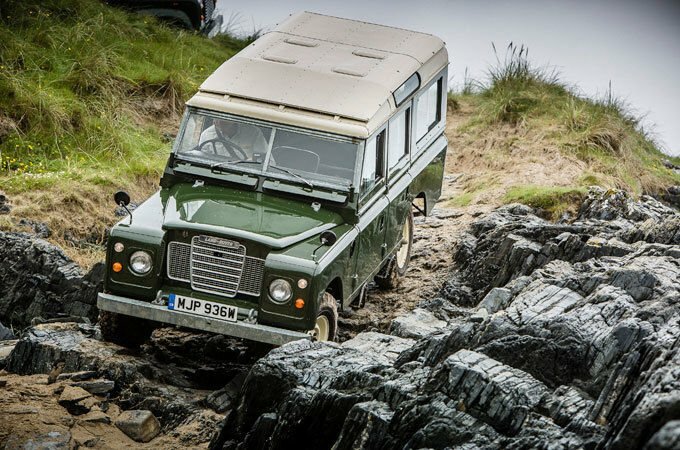 TAKE THE PATH LESS TRAVELLED WITH OUR ESSENTIAL GUIDE TO 4x4 OFF-ROADING. With good preparation and a bit of practice, anyone can off-road. 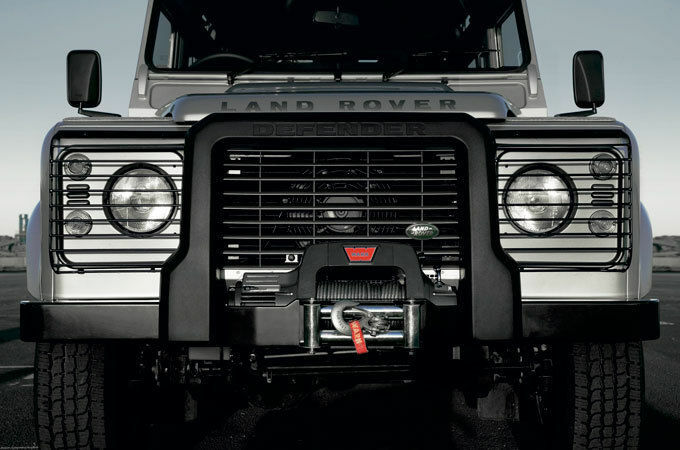 A Land Rover is capable of more than you could ever imagine. My top tip is to know your 4x4 inside out before you set off. Get a good mental picture of the underside of your vehicle. Know where the fragile parts are, such as the fuel tank, engine sump, differentials and gearbox. Memorising some basic stats will help you deal confidently with off-road obstacles. Get to know your vehicle’s height and width, its lowest point, wading depth and key angles. Understand your on-board technology and all its features; you’ll find everything you need to know in the manual. If you don’t have your manual, download it now. Check terrain and topography maps online. Consider current and recent weather, and how it might affect the land. Always abide by the Countryside Code. 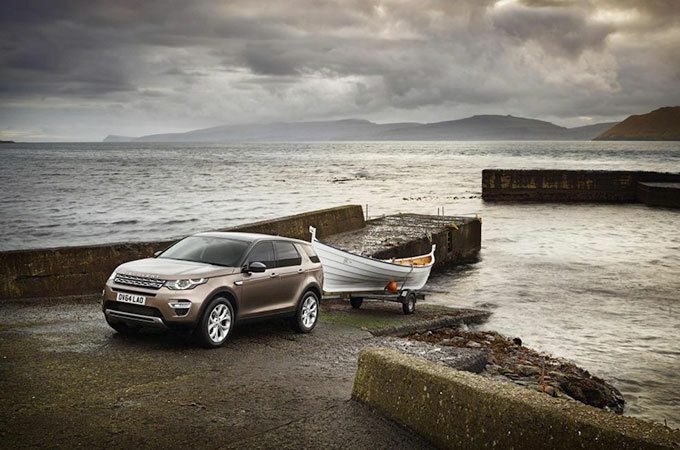 Intrepid adventurers share their greatest off-road moments in the much-loved Land Rover Discovery. To mark the end of production, we drove a fleet of the Defender’s ancestors in its spiritual home of Islay. 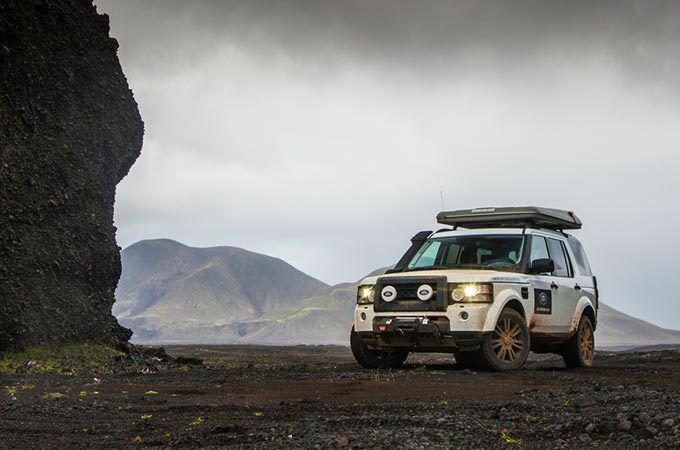 Land Rover driver Moi Torrallardona tests the Discovery Sport across volcanic rock and green valleys. Aerodynamic in design and moulded from lightweight polymer, these lamp guards offer excellent protection from minor impacts. Reduce spray and protect your paintwork from debris and dirt. Available for front and rear wheels, in various designs to complement exterior styling. 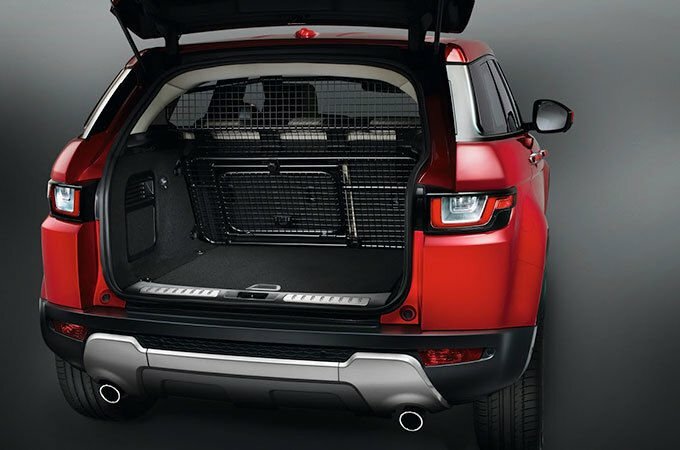 Protect passengers against displacement of luggage on energetic drives. Available half height or full height, with optional loadspace partition. 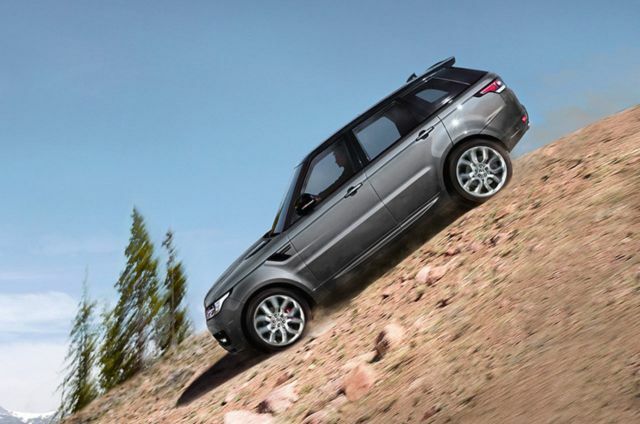 Land Rover’s patented Hill Descent Control (HDC) assists the driver on challenging descents by automatically maintaining a constant speed and applying brakes to each separate wheel where required, increasing the vehicles capability and keeping you in control at all times. Experience the system in action and tackle off-road challenges in our 360° video. 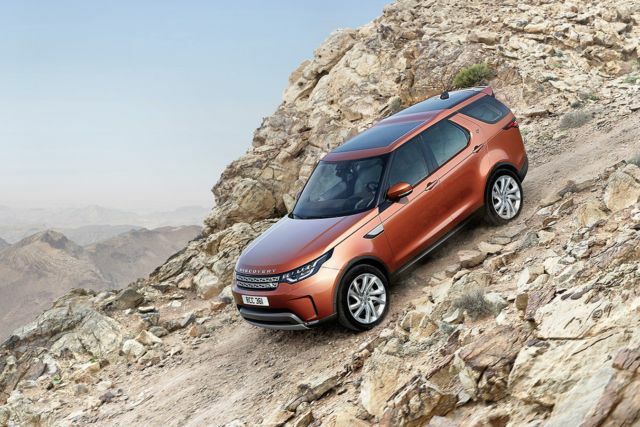 Land Rover’s pioneering 4x4 technology All-Terrain Progress Control enables steady, composed progress across any terrain at the push of a button. Terrain Response™ technology enhances capability and ensures the vehicle performs with poise no matter how challenging the conditions by optimizing the engine, transmission, differentials and chassis systems. Select the mode to suit the surface and enjoy the assured performance. 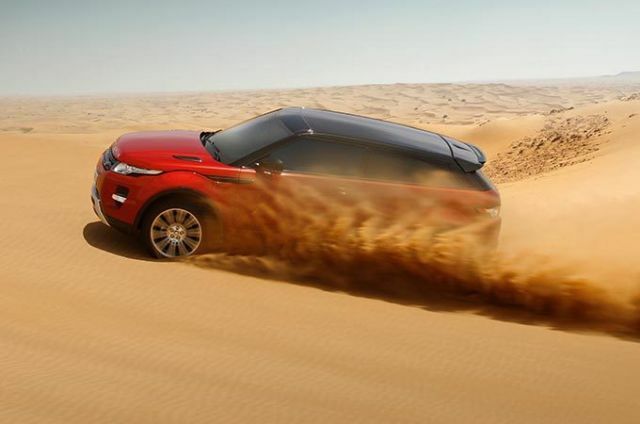 Watch the Range Rover Evoque Convertible putting its all-terrain capability to the test. 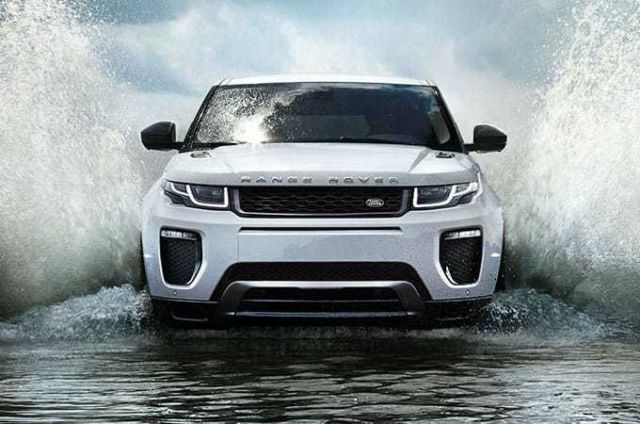 Land Rover Innovation Lab is working on a series of “Advanced Sensor Technologies”. 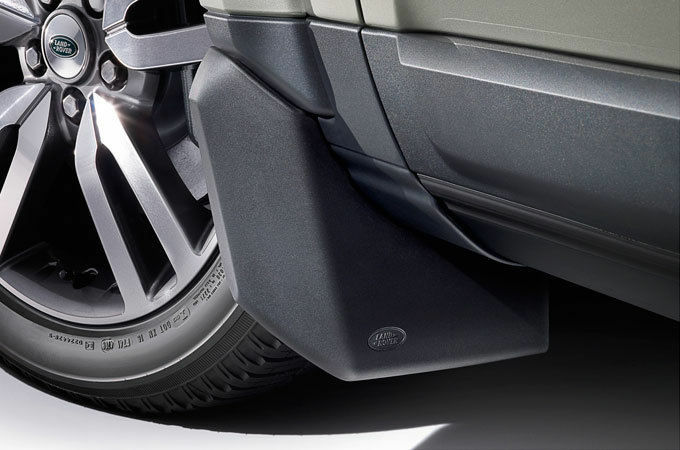 Structured Laser Light is a near future technology that will help Land Rover vehicles automatically adjust suspension to deliver comfort on any terrain. The car projects a grid of laser light onto the ground ahead; obstacles and potholes distort the grid and alert the system, leaving you to enjoy your in-car driving experience. Watch the film or visit the Innovation Lab to find out more. Quick tips and techniques for dealing with off-road environments. Engage Mud and Ruts on Terrain Response. Try to stay within existing tracks. Keep the wheels straight and use the information screen to guide you. Engage Sand on Terrain Response. The key to crossing sand is to know how firm the surface is. You need to maintain momentum to drive over the sand, not sink into it. Try to work out how deep the water is. In static, shallower water, explore on foot and use a stick to gauge the depth - or watch another vehicle go through. Going uphill, approach the hill straight on and use the highest gear possible. Never turn the vehicle on a steep slope. Going downhill, engage Hill Descent Control. Before crossing rocks and scree, get out of your vehicle and assess the risks. Select Rock Crawl on Terrain Response; this will engage low-range gears. Engage Grass/Gravel/Snow on Terrain Response. Gravel is a constantly changing, low-grip surface, so always drive at a slow speed. 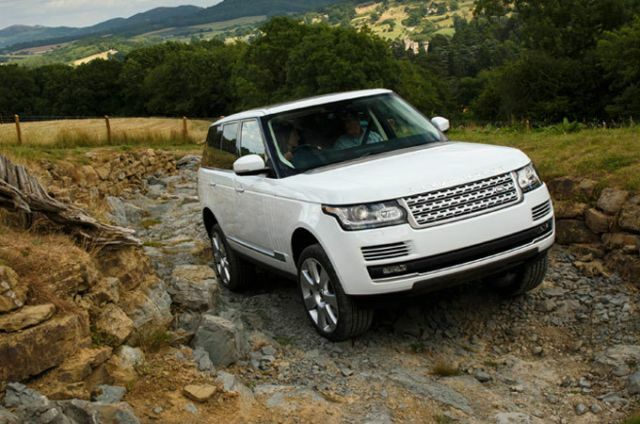 Explore some of the world’s most iconic destinations from behind the wheel of a Land Rover. Book your dream off-road adventure with Abercrombie & Kent. Want to master muddy ruts, rock crawls and steep slopes? Book a Half, Full Day or Advanced Experience for expert guidance at one of our LRE centres.